When Stephan and I were in North Carolina Last weekend, we went to a hole in the wall Chinese restaurant. 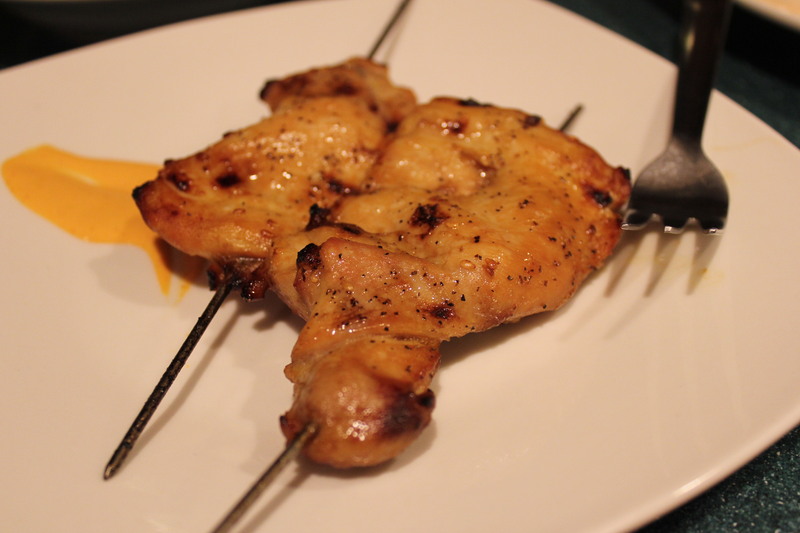 One of the items we tried was this skewered chicken, and not that we have not had it before but this time it was succulent, juicy and crispy on the outside. 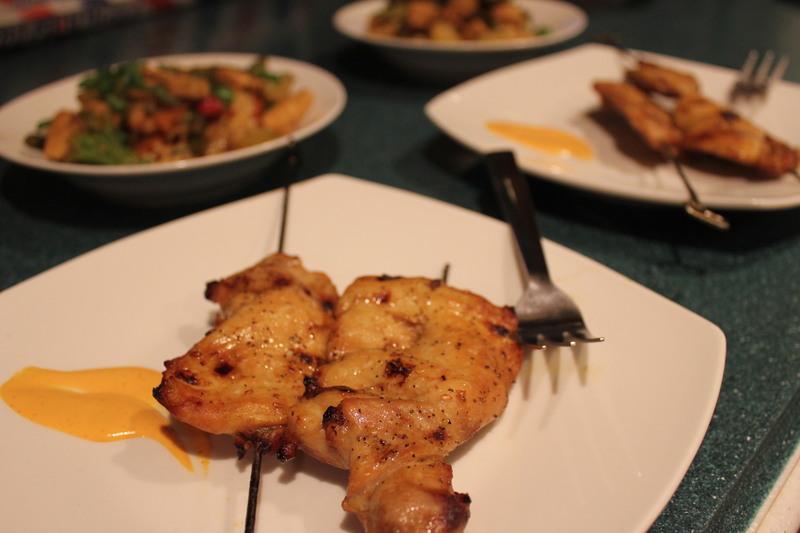 Normally when you have that bright orange skewered chicken it is so tough and over cooked, so it was surprising to have this taste so good. I pondered how they did it talked to Stephan about what my opinion was and decided I am going to try to make a similar chicken. I don’t particularly like the orange flavored sauce they cover the chicken with so I opted to make my own. And water to make sure the chicken is covered. Take the thigh and pound it until it is about ¼ inch thick. 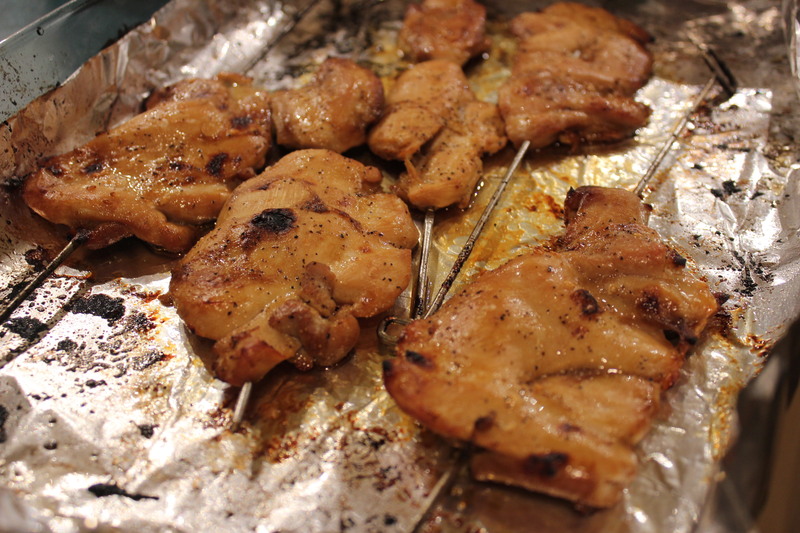 Skewer it and drop into the marinade. Repeat with all pieces. 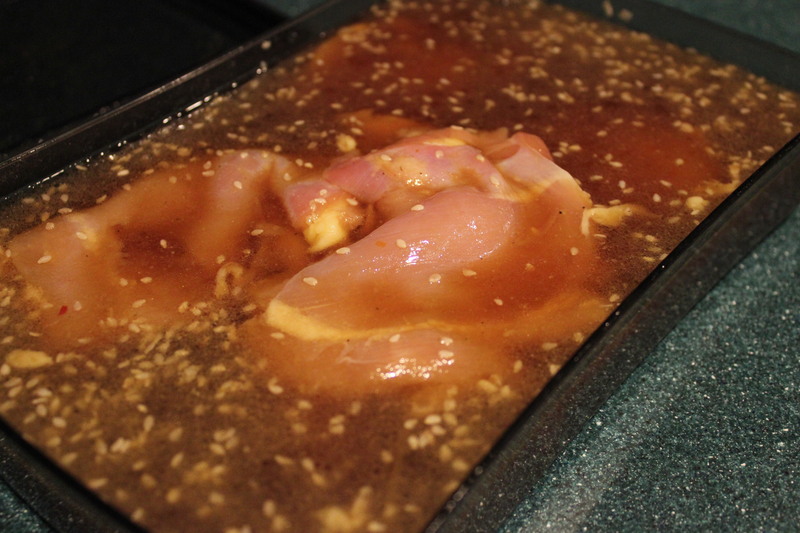 Marinade for 8 hours or more. Cook the chicken in the oven at 400 degrees for 12 13 minutes. Then broil on high to crisp the outside, watch carefully, once one side is done turn over and crisp the other side. Serve with your favorite dipping sauce. These came out excellent, and they had a fantastic delicate flavor.